The mission of River Hills School is to promote learning and development so each student can progress toward independence. The admissions process is mutifaceted taking into account student needs, family vision, and local school district decisions. All students who attend are recommended by the Multidisciplinary Team which has documented the need for specialized instruction in a special school as part of the student’s Individual Educational Plan. It is important to note that River Hills is a special school and as such is considered a more restrictive placement in that contact with non disabled peers is limited. It is one option on the continuum of placement options and should only be pursued when considered as an appropriate and least restrictive option for the individual student. The Multidisciplinary Team must conduct a reevaluation of the student, hold an Individual Educational Plan (IEP) meeting where the student’s IEP is reviewed in light of new evaluative information, and complete all necessary paperwork as outlined in the Central Rivers AEA Special Education Procedures Manual. The River Hills School instructional day begins at 8:45 a.m. and ends at 3:15 p.m. each day. Due to supervision concerns early drop off of students is not available. Teachers are available between 8:15 a.m. and 3:35 p.m., Educational Assistants are available between 8:30 a.m. and 3:30 p.m. and Licensed Support Staff are typically available between 8:00 a.m. and 4:30 p.m. The River Hills School office is open from 7:00 a.m. to 4:00 p.m. each day. Students are transported to school on buses operated by your local school district. You should receive information from your bus driver regarding the approximate time of pick up and drop off for your student. If you have questions regarding buses during the school year please call your school district’s Superintendent office. River Hill meals are prepared by the Cedar Falls School District. Students are expected to maintain a positive meal account balance. Low balance notifications will be sent out if the student’s balance gets below $5.00. Contributions towards your account may be made at anytime at the River Hills office or online. Instructions to view your account online are available upon request. Children from families whose income is at or below certain levels are eligible for free meals or for meals at the reduced price. To apply for free or reduced-price meals, parents are required to complete an application form. This form will be sent to parents at the beginning of the school year. If family income changes, you may apply for free or reduced-price meals at any time throughout the school year. River Hills makes breakfast available to students. Elementary students (K-6) may purchase breakfast for $2.05 per meal. Secondary students (7-12) pay $2.15 per meal. Those eligible for reduced-price breakfasts pay $.30 per meal. There is no charge for those eligible for free meals. River Hills School serves nutritious meals and milk every day. Elementary students may purchase regular hot lunches for $2.80 per meal. Secondary students pay $2.90 per meal. Those eligible for reduced–price lunches pay $.40 per meal. There is no charge for those eligible for free meals. All meals include milk; however, extra milk may be purchased for $.50 per half pint. River Hills School follows the Cedar Falls School District policy for school cancellations and late-starts. All late starts are 90 minutes resulting in a 10:15 student start time. We are requesting all parents, group homes, bus drivers, districts and staff sign up for both of the above methods of notification. As much as we would like to contact each parent individually, it is an impossible task on days of early dismissal or other weather-related situations. If weather conditions are predicted for excessive heat in the summer or winter conditions, please be aware that a school announcement is probable. All visitors are required to sign in and out at the office and to wear an identification badge while in the building. This is a security measure so we know who is and has been in the building on any given day so please do not be offended if asked to check in. Parents / Guardians are asked to sign permission forms in order for students to participate in various activities of the school. These forms allow parent to have input in activities they wish their student to be involved. These activities may include swimming, bowling, roller skating, field trips, and other selected activities. Permission to photograph, film, and/or video tape students is required before the media is allowed to use pictures in their news storied. Permission is also requested from parents for school pictures. Appropriateness: Student’s clothing should be comfortable, clean, and suitable for working with material which may soil clothing. Fasteners which your child can manage with little help are best. Please be sure your child is dressed for weather conditions. Labeling: All clothing sent to school (i.e., swimsuits, mittens, hats) should be clearly marked with the student’s name. Sew – in labels or permanent marker work well. Extra Clothing: Extra clothing should be sent for any student who may have toileting accidents. Health care of the school-age child is the responsibility of the parents. Parents are encouraged to give medication and perform health care procedures at home, outside of school hours. Parents should explore, with their child’s doctor, the advisability of a schedule that can be carried out before and after school hours. However, it is recognized that there may be certain medications and health care procedures which must be carried out during the school day to allow your child to attend school in as healthy a state as possible. The Iowa Department of Education’s Rules of Special Education are very specific regarding the administration of medications and procedures by school personnel. Please refer below for information that must be on file and procedures to follow for each. Medication shall be in the original container labeled with the student’s name, medication, strength, dosage, physician, directions, pharmacy, and date. The medication consent form signed by the doctor and parent and listing the medication, dosage, administration route, time to be given at school, and reason for the medication must be on file at school. When sending the medication to school on the bus, please hand it directly to the driver or bus aide for transport. Tape the top of the bottle and label the number of pills being sent. Renew medications yearly and update changes as soon as they occur. Medication not claimed by the parent by the end of the school year will be destroyed per school procedure. Iowa law forbids the dispensing of any over the counter prescription or medication by school personnel without the written permission of the student’s doctor. Therefore, no Ibuprofen,Tylenol or other medications will be given at school without an order. The provision of supplies, equipment, and maintenance are the responsibility of the parent. Physician authorization and parent consent must be on file detailing the procedure, reason for the procedure, time of school administration, anticipated results and/or side effects. Procedure authorization must be renewed yearly and updated immediately as changes occur. Communicable diseases spread easily in the school environment. Please notify the school when your child is ill. This may help in controlling any spread of disease. If your child is absent, a written note or telephone call explaining the reason for absence is appreciated. Contact your school nurse in regard to school admittance following a contagious disease. Diagnosis of any illness is the responsibility of your doctor. This asks for parents’ employers, names of people to contact if parents cannot be located in an emergency, health providers, hospital preference, allergies, medication, etc. If your child needs to go to the hospital by ambulance this form is sent along so treatment can be started. It is extremely important that a new form be filled out each school year and that the school office be notified of changes. This helps update health information from the beginning of the previous school year up to the present year. This is filled out by the doctor when your child has a physical exam. 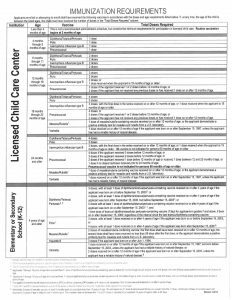 The immunization cards required by the Health Department are updated each fall from information on this form. If your child is on a daily medication at school you will receive a copy of this form. It needs to be signed by both doctor and parent. If your child starts taking a medication at school you will need to complete a copy of this form. 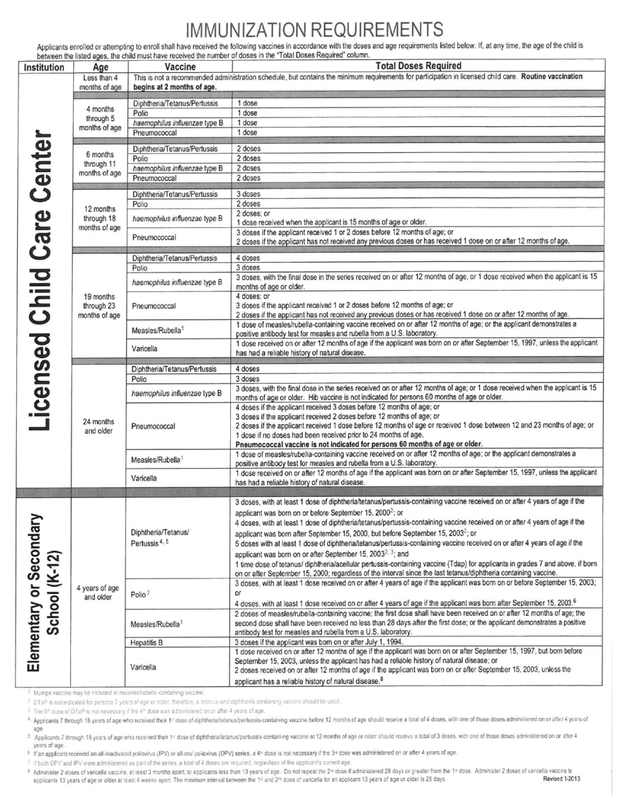 If your child receives specialized care at school such as gastrostomy tube feedings, suctioning, catheterizations, etc., you will receive a copy of this form. It needs to be signed by both doctor and parent. If your child starts receiving a specialized procedure at school you sill need to complete a copy of this form. Children receiving Specialized Health Care at school will have an Individual Health Plan (IHP) located in the school health office. River Hills has a Safety and Health Committee that implements procedures to ensure a safe environment for students and staff. We follow state requirements for fire and tornado drills. A Plan of Action for safety and health concerns and emergency procedures/guidelines have been established. Selected River Hills staff are certified in Cardio-Pulmonary Resuscitation (CPR ) and Basic First Aid. In the interest of safety and health for out students, all certified school employees are mandatory reporters of child abuse, as required by Iowa law. Family-Teacher conferences are scheduled two times each school year plus a third conference to conduct the Annual Review of Placement, and to write a new Individual Education Plan (IEP). Parents will be notified of the specific dates for the scheduled Parent-Teacher conferences and annual review. The River Hills Behavior Management Guidelines are directed toward maximizing the growth and development of the student, at the same time assuring his/her rights. A classroom management system will be utilized in all classrooms and documented on the curriculum summary form that addresses the needs of the students in the classroom. If a student’s behavioral / learning needs are not being met with the classroom management system, consultation with the multidisciplinary team is needed. If a specific management plan is developed, it will become part of the student’s Individual Education Plan and parent consent will be obtained prior to implementation. The following support personnel are available to River Hills students and their families, however, not all students will receive direct services from the physical therapist, speech pathologist, or occupational therapist. These services are dependent upon specific needs of the individual student as stated in their IEP. The Audiologist tests your child’s hearing and checks the functioning of the middle ear to determine any needs for your child that are educationally significant. The Special Education Nurse identifies and evaluates the health needs of students with disabilities, interprets the health needs to the families and school staff as those needs relate to the student’s educational program, does professional nursing activities, and integrates the health care into an acceptable pattern with the educational program. The Special Education Consultant is the Central Rivers AEA person who coordinates program activities and curriculum, and works with the special class teacher to see that an appropriate program is planned for your child. The Occupational Therapist (OT) helps your child to acquire the fine motor, self-care, and perceptual skills that are necessary for domain curriculum activities of daily living, and prevocational training. The OT may also recommend special equipment and adaptations if he / she is in need of such assistance. The Physical Therapist (PT) helps children develop large muscle skills such as crawling, walking, and running. The PT can work directly with the child, with the parents, or with the teacher. The PT may also recommend special equipment and adaptations if the student is in need of assistance. The School Psychologist assesses a student’s method of learning. Information is gathered by administering tests, talking directly to students and/or to their parents and teachers, and by observing students in the classroom. The School Social Worker assists families with locating needed community resources and is a liaison between the school and family. The School Social Worker also evaluates social and behavioral factors that affect the student’s progress. The Speech Pathologist evaluates and provides intervention services to children in four primary communication skills areas: 1) Articulation, 2) Language, 3) Voice, and 4) Fluency. The Speech Pathologist is a member of the team which works cooperatively with the child, the parents, teachers, and others to help the student reach his/her communication and educational goals. The Work Experience Coordinator provides classroom teachers and their students support in the development of work skills and the provision of transition activities.